SHW Business Space have secured lettings for the final two units in Vale Industrial Park, Streatham, on behalf of Chancerygate, prior to the estates sale to Petchey Holdings. 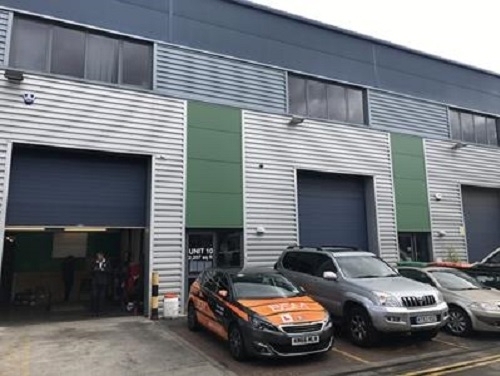 Unit 10 (2,207 sq ft, pictured above) was let to Platanchoice Ltd, and Unit 7 (3,249 sq ft) was leased to London Nails Supply at the 2008-built development. Industrial unit availability in the Croydon / Mitcham / Coulsdon area remains acutely short at sub 4.5%.